The past 15 years Oxfam and partners have introduced a broad range of Financial Inclusion programming as part of its Women’s Economic Empowerment (WEE) programming. 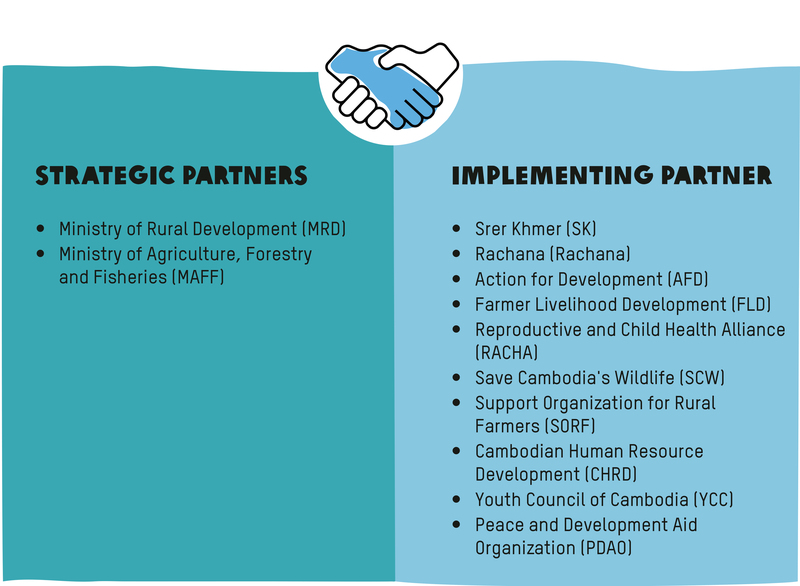 As part of this Oxfam has introduced Savings-for-Change (SfC) as an effective pro-poor Savings-Led Microfinance (SLM) product in Cambodia. In 2017 over 140,000 people directly benefited from SfC and saved up to 5.7 millio40 local organizations were trained by Oxfam and were capable to provide the product. SfC is more than just a financial inclusion product that fill the need of the poorest of the poor who cannot afford MFI products. SfC has proven as an effective Community Organizing tool where trust is low among and between community as well as in formal institutions. SfC has proven results in women transformative leadership as it is also designed to challenge social norms. In 2014, based on the World Bank report, the poverty rate was 13.5% and about 90% of the poor live in the countryside. The potential market for Saving-Led Microfinance products in Cambodia is approximately 4 million people who are surviving below or just above the poverty line. This is potentially growing at approximately 200,000 people per year. However, the current growth rate of SLM is lower than estimated due to poor-people’s perceptions on saving as they think they cannot save. They are not willing to save from their income. People are expecting donation while skills and knowledge help them access financial services such as MFIs/banks. The project aims to enhance economic security and resilience, achieve economic and social empowerment for SfC members and their households. Single approach: Financial services (loans and credits) for poor women and their families and financial education of households. Integrated approach: Along with partner organizations and relevant stakeholder, providing a comprehensive and integrated service comprised of skills-based education (financial literacy with social/life skills) and service on financial inclusion (SfC Group, MFIs and banking). Giving women access to affordable financial credit/savings such as Saving for Change (SfC) groups is a stepping stone in their empowerment. They also play an important part in boosting members’ self-esteem and leadership capacity. SfC groups improve overall income and livelihoods through either loans or share outs. These are invested into farms or businesses increasing the household income and security and creating sustainable well-being for poor women and their families.